In the first session of the class, students can stop by the shop for our color selection event. You don't have to choose your colors on this day, but we'll be available with color cards in hand to help! You will need to place your yarn order before 8/22/18 in order to receive your yarn by session two. In the second session of this class, participants will receive 2 hours of instruction, highlighting the construction of this afghan, the construction of each hexagon, individual motif placement, tips, tricks, and more. In the third session, participants have the option of coming to work on their unfinished project, or arriving in style, toting their finished afghan. All projects completed before August 31st, 2019 are eligible for a prize! 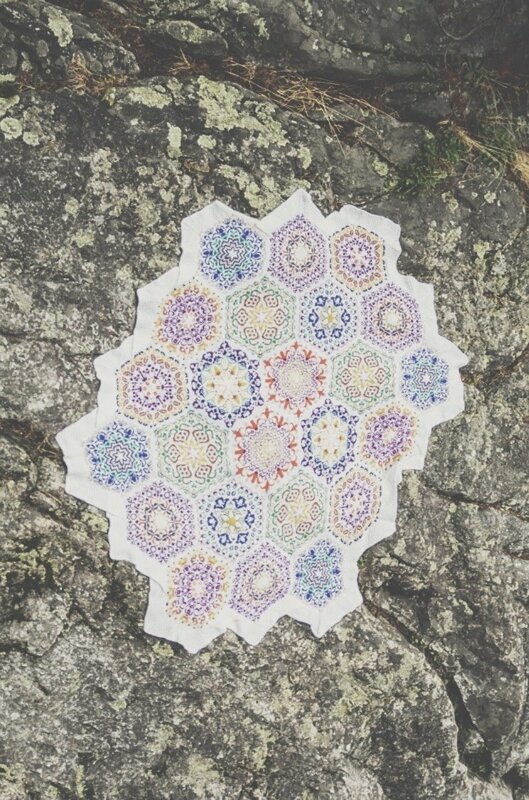 There will be supplementary classes associated with this KAL on creating your first hexagon, kitchener stitch, adding borders and more. Check out our first class which guides you through knitting your very first hexagon here!